Our visit to Sight Village at Kensington Town Hall on the 6th & 7th November 2018 was a great success. It gave us the opportunity to make some worthwhile contacts. Look out for us at future events. How many people have keratoconus? Amazon will donate to the KC Group when you shop! All pages copyright © 2003-18 the UK Keratoconus Self-Help and Support Association. 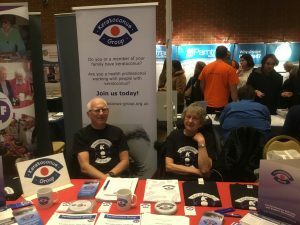 The Keratoconus Group is the working name of The Keratoconus Self Help and Support Association, a registered charity in England and Wales (1057629) and in Scotland (SC039552).